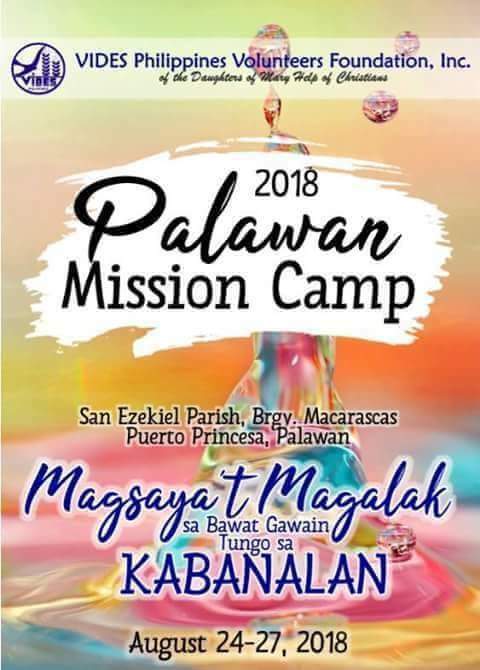 This August 24 to 27, 2018, VIDES Philippines will be in Palawan for its Annual Mission Camp. 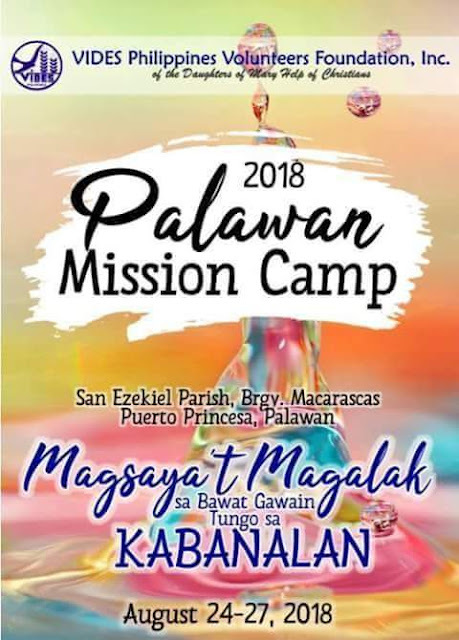 Help us bring basic health services, children's rights education, grooming services, livelihood opportunities, and God's good news to at least 300 kids and 50 mothers from Brgy Macarascas, Puerto Princesa City. You may donate as little as P50.00 for the procurement of rice, canned goods, noodles, medicines, and other groceries for the beneficiaries. Donate. Share your blessings. Touch lives. Be one for others. For more information, please contact the VIDES Philippines Volunteers Foundation Inc.'s office at (632)7156740. You may also contact Ms. Amy Suzara at +639159094723. You may also send donations through the VIDES Paypal account.